Orthokids are no longer providing an 'in house' shoe raise service. We have decided to focus on our core Orthotic services. You will be able to find a local shoe store or boot maker who can complete your shoe raise for you. Below are some locations that will be able to assist you. If you are unable to find a local provider, we are happy to arrange your shoe raise, but please understand it will be at a higher cost and longer wait time then if you were to facilitate this independently. We are pleased to announce the opening of our new service at St Vincent's Private East Melbourne as part of the Hip Dysplasia and Sports Injury Clinic. Good friend of Orthokids, Tim Disken has achieved success at the Rio Paralympics. 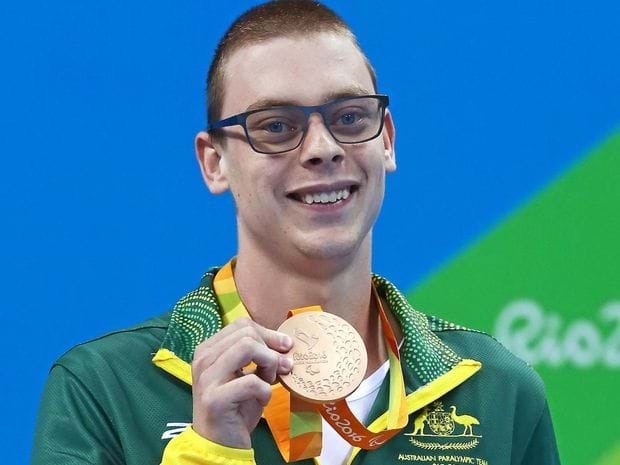 Australia can justifiably lay claim to "owning” the men's S9 100m freestyle at the Paralympics after Melbourne teenager Timothy Disken won gold in the event in Rio. Matthew Cowdrey, who retired from competitive swimming last year as Australia's most successful Paralympian (with 13 gold and 23 medals in total), had won the race at Athens in 2004, Beijing in 2008 and London in 2012. Well aware of that record, 19-year-old Disken put aside the pressure to dominate the final 20 metres of the race ahead of compatriot Brenden Hall, giving Australia the quinella. "The last 35 stung a bit but I just put my head down and tried to focus on myself,” Disken said. Disken's winning time of 56.23 seconds fell short of Cowdrey's 55.84 in London. Hall finished in 56.95, his best time of the season. It was Disken's second medal of the meet, following his bronze in the 200m individual medley on Monday. In the women's S9 100m freestyle, Australia's Ellie Cole, the gold medallist at London in 2012, took bronze in a time of 1:02.93. Australia also won bronze in the the women's SM6 200m individual medley, with fifteen-year-old Tiffany Thomas-Kane finishing fourth but elevated to bronze following a disqualification. 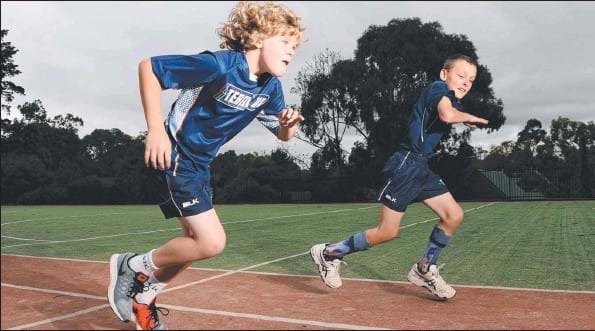 Warranwood Primary School’s Cooper, 10, and Rhys, 11, have cerebral palsy and will represent Victoria in the National Para Athletic Championships in Canberra this December. The duo will go head-tohead in the 100m, 200m and shot put events, with Cooper also competing in the 800m and long jump. Cooper’s mum Sue De Prinse said her son, of Warranwood, was diagnosed with mild cerebral palsy at 18 months, which affects the muscles and movement on the left side of his body. But Ms De Prinse said his life was never about the disability but the possibilities. “(Cooper) represented the Team Vic at the School Sports Australia National Cross Country Championships in August ... and will represent Team Vic again at the School Sports Australia National Track and Field Competition,” she said. Rhys, of Croydon North, was born at 26 weeks, and has chronic lung disease. At two years he was diagnosed with spastic diplegia, a type of cerebral palsy mostly affecting his lower limbs. “Rhys has never allowed his disability to define him,” mum Loretta Higgins said. The school will hold fundraisers to help the families with expenses, including a free dress day, sausage sizzle and raffle tickets on sale at the school office. To help, phone 9262 7700. In case of breakages or 'lost' AFO's, we now keep our patient's casts for 3 months following the fitting of their AFO's. The past 6 months has seen significant changes to our manufacturing facility at Surrey hills.